This regalia has the hints of Roman ancient past. I wonder how much of it, if any, remained until this time. Romanos’s outfit looks very classical Roman in this image to me. Is this based on an actual fashion from this time period, or did they draw him like that because of his name? Yeah it is a little like a painting of Theresa May dressed up in Tudor clothes. Off topic, and I’m sure you’re overwhelmed with stuff to read Robin, but I’ve been reading the excellent Bettany Hughes latest massive book, Istanbul, it is absolutely an essential read for all THOB fans, I recommend it to you and to all listeners, for both the Byzantine era, and for the pre and post Byzantine era. Truly epic, scholarly but very easy to read, and very, very hard to put down! It’s not a detailed history of the Empire, but of the city, but includes lots of answers to a lot of questions, and loads of newly discovered archaeological findings; highly recommended. Thanks so much for the recommendation. 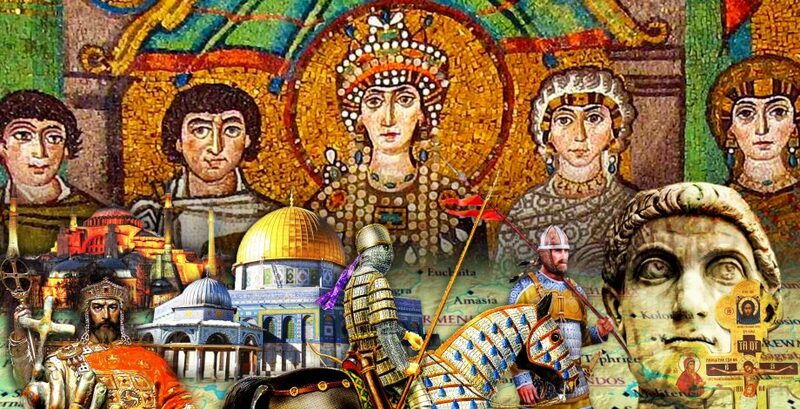 I will definitely add it to my list for the big Constantinople episode coming up at the end of the century.